Shocker: My First Love ISN’T Chickens! I had forgotten this until I was cleaning out the chicken coop today. After the fresh-poopy layer there was a dry-poopy layer and under that there was beautiful sweet-smelling layer. It was completely decomposed. It was gorgeous compost. 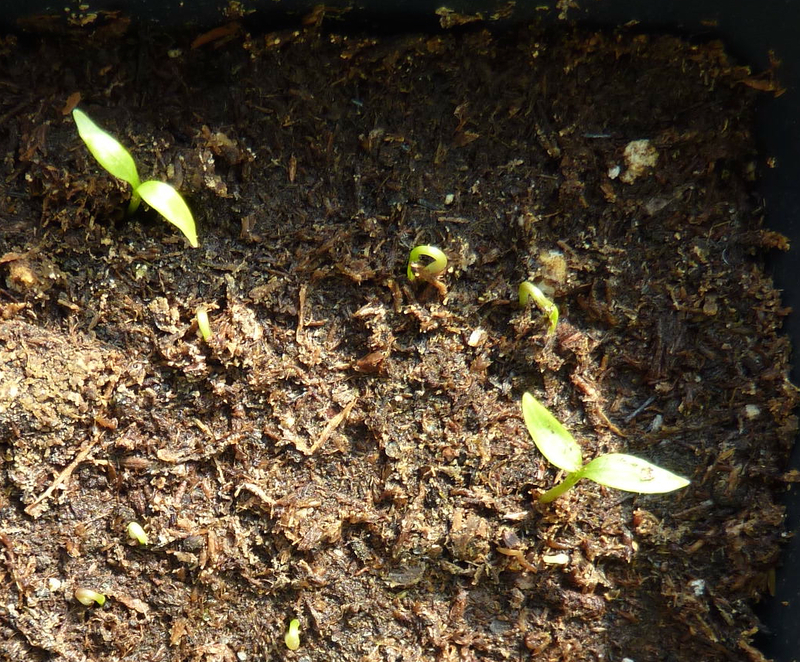 Seedlings pushing through the soil in a little upside-down ‘u’ shape. I especially love growing food. Growing food the way I like to grow it requires a lot of compost. Now, my compost story actually has more history than you might first imagine. Before we moved to our acreage, we had a house in town. When we moved we already had chickens and I had been practicing the “deep litter method“. Well, I certainly wasn’t going to leave behind all that work that the hens and I had been doing. Much to my husband’s dismay, we packed up all the poopy, half-composted bedding from the chicken coop and moved it with us. I hauled all of the finished results up to the vegetable garden area today. If you saw me today grinning from ear to ear as I drove a quad up from our lower field with a load of chicken sh*t and you knew the backstory, you wouldn’t have thought I looked crazy at all. Even though it was 45, it was December 9th, and it was pouring rain. Most normal people would have been inside unless they had no choice. Not me. I had been waiting two years to do this. This entry was posted in Chickens, Growing. Bookmark the permalink.